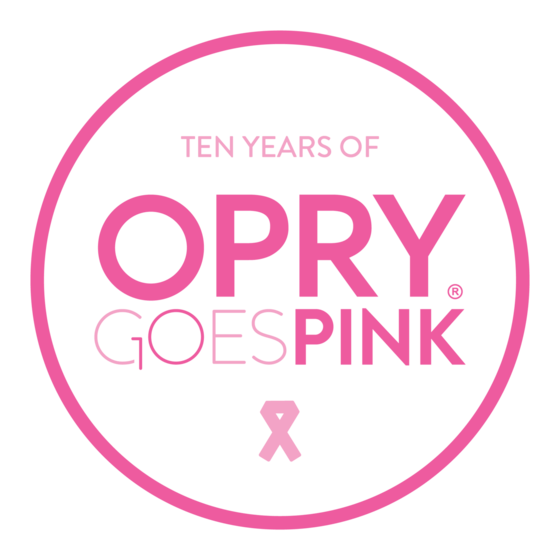 The Grand Ole Opry and Carrie Underwood are joining together in the fight against breast cancer on Friday, Oct. 26 with a special 10th Annual Opry Goes Pink. Opry member and Capitol Records Nashville artist Underwood will flip the switch on the Opry’s signature barn backdrop, turning it pink for the night as the “Cry Pretty” star takes the stage to perform on two shows that night. Underwood also flipped the switch on the inaugural Opry Goes Pink in 2009. Underwood and the Opry have teamed to create Cry Pretty Opry Goes Pink packages featuring Opry Goes Pink tickets, Underwood’s Cry Pretty album (available now) and a collectible print. Beginning today, when fans order the package or tickets, $5 from every package and ticket sold will be donated to the fight against breast cancer. Tickets and packages are available at opry.com and at (800) SEE-OPRY.